Save Big with our Winter Discount!! You can save as much as $350 when you register for one of our Summer of 2019 Fishing Camps by Apr. 1 !! Details on our “2019 Fishing Camp Sessions” page. On our Summer of 2018 Fishing Camps, our campers and staff caught about 1500 Northern Pike, Walleye, Jumbo Perch & Smallmouth Bass including several large fish over 30 in. One camper caught 200 fish just on one camp session! Other campers caught large amounts of fish. We hope you’ll be able to join us on one of our Exciting Summer of 2019 Canadian Wilderness Fishing Camp Experiences! • Transportation included from many areas in the U.S. & Canada (Check “Transportation” page for all Depart/Return locations). Campers are also met at the Buffalo & Toronto Airports. • Accommodations in fully equipped rustic cabins. Even though we’re on a wilderness lake, the cabins have hot showers, flush toilets, running water, electricity, etc. 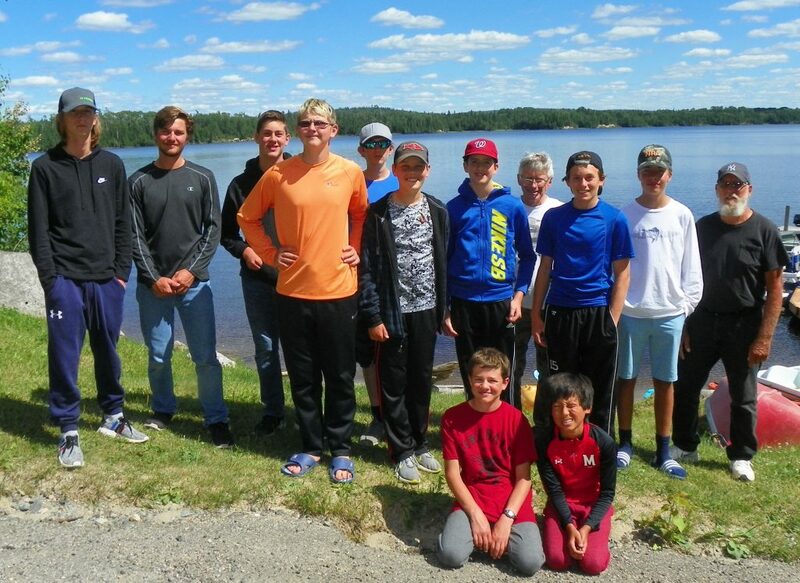 • TASC Canadian Wilderness Fishing Camps has provided exciting Wilderness Fishing Camps for kids & teens for 38 summers – since 1981. Some of our campers have enjoyed our camp so much that they have returned for as many as 5 summers! Through the years, we’ve had campers from many parts of the USA, Canada and countries such as France, Italy, Venezuela, Belgium, UK, Switzerland, Germany, Mexico, China, Kuwait, BVI and others. We welcome campers from any state, province or country!